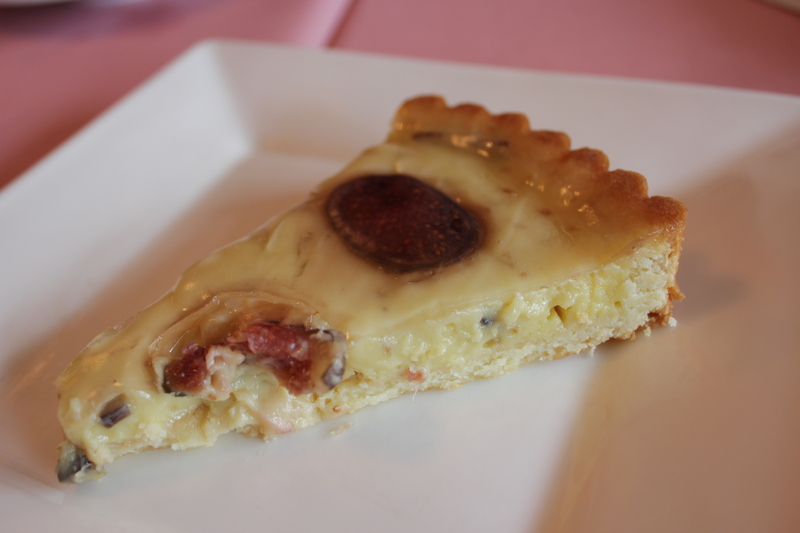 It’s been almost a year since we visited Ristorante Da Valentino. We spent a lot that day on a single meal because both dad and I ordered fish – never order their fish, it’s not worth it. The restuarant is very very small, what the french would label as bistro. 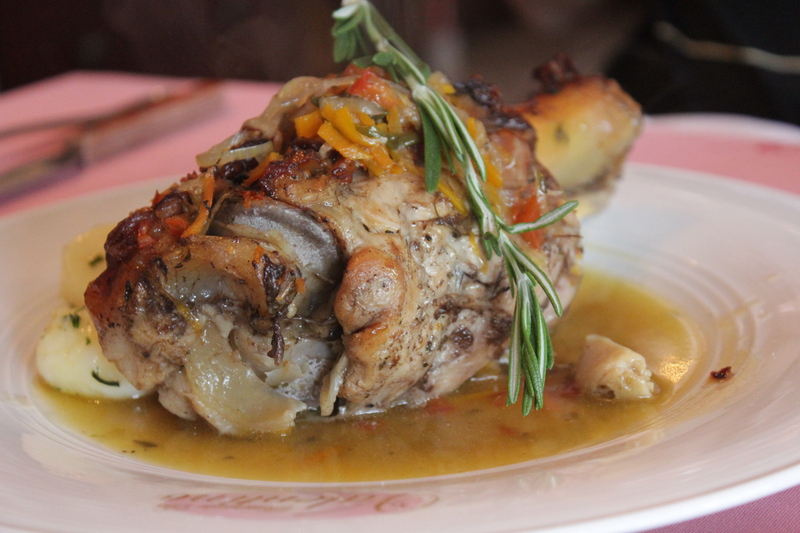 Ingredients are superb and very fresh, while the dishes offered are quintessentially italian that come in hearty portions and generous dashes of olive oil. After listening to all the day’s specials I immediately insisted on the treccia ( $35.90) which is braided buffalo mozzarella. This is one of the few cheeses I appreciate because of it’s mild flavour that is more milky than cheesy. 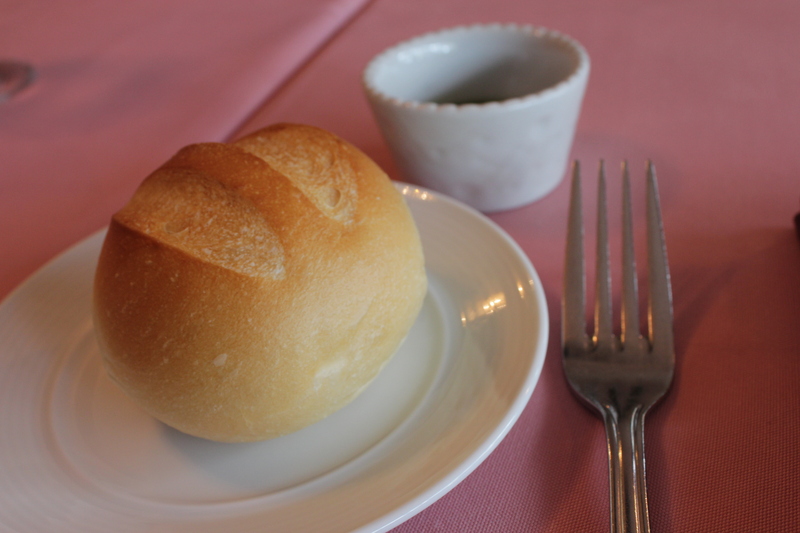 However, it does not have a smooth and creamy texture like the usual cheeses and is instead a little lumpy inside and leathery on the surface. 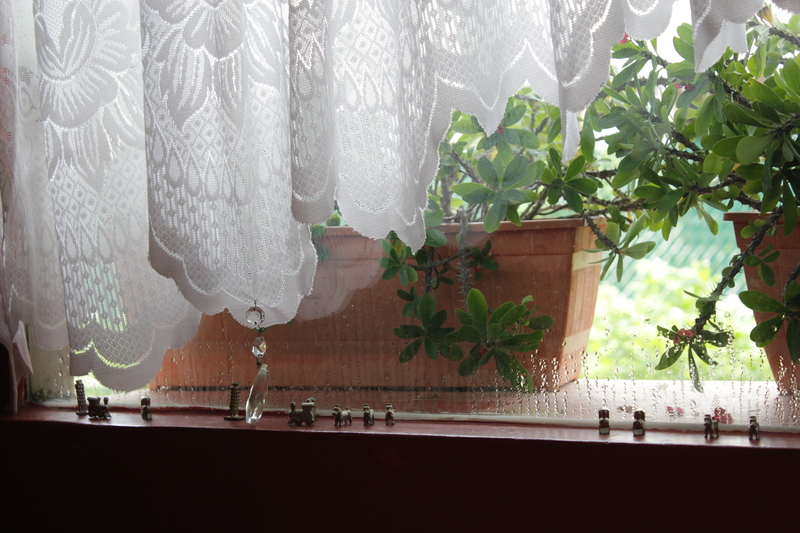 But I like it nonetheless because of how refreshing it is! 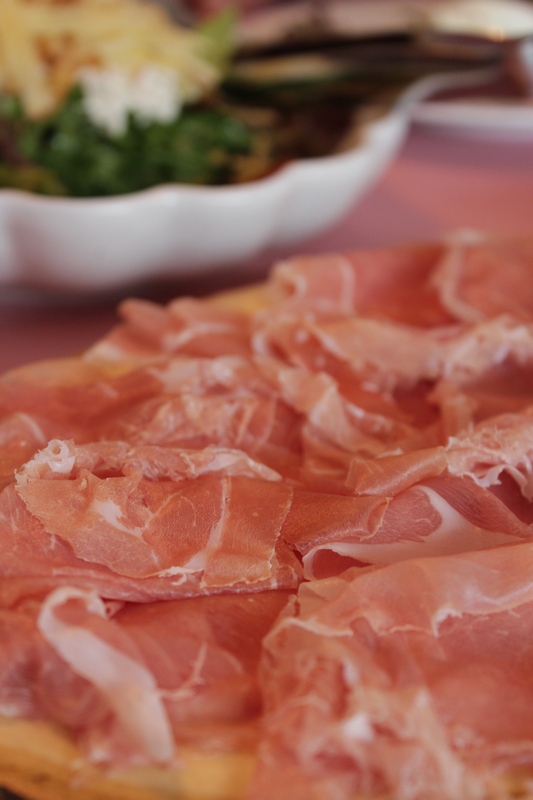 Our waiter Abdul suggested a special order of parma ham ($24.90) to go with it since it comes across as bland to some. 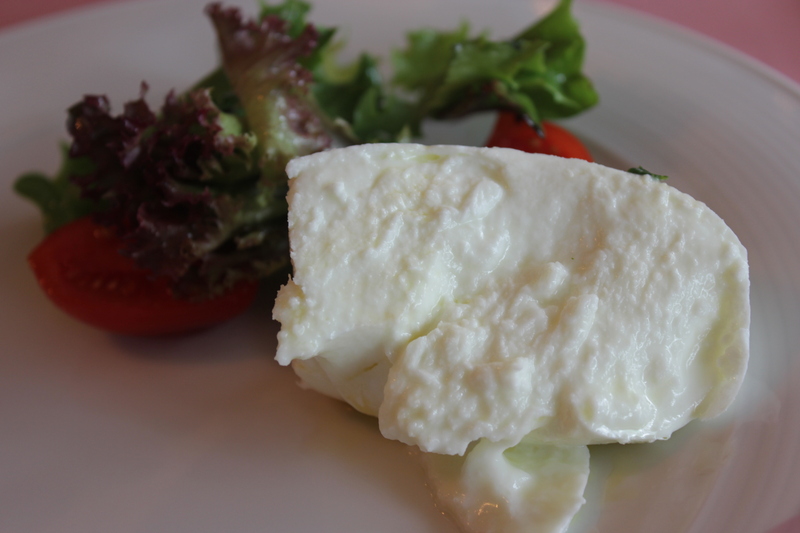 My portion of yummy buffalo mozzarella. Cold and oozing with buffalo milk served with the sweetest cherry tomatoes that I ever had and salad. I don’t know anywhere else that serves braided mozzarella so this was quite a novelty for me. Usually in italian restaurants I find it on the antipasti platter served as a millefeuille of sliced tomatoes and buffalo mozzarella. Parma ham strewn all over a platter which looks like a cross section of a tree. Aesthetically pleasing to the eye indeed. When you think salad you think of it as a necessity only to fulfill the veggie intake for the day. But here in valentino, an order of salad is almost a must because of how good it is! 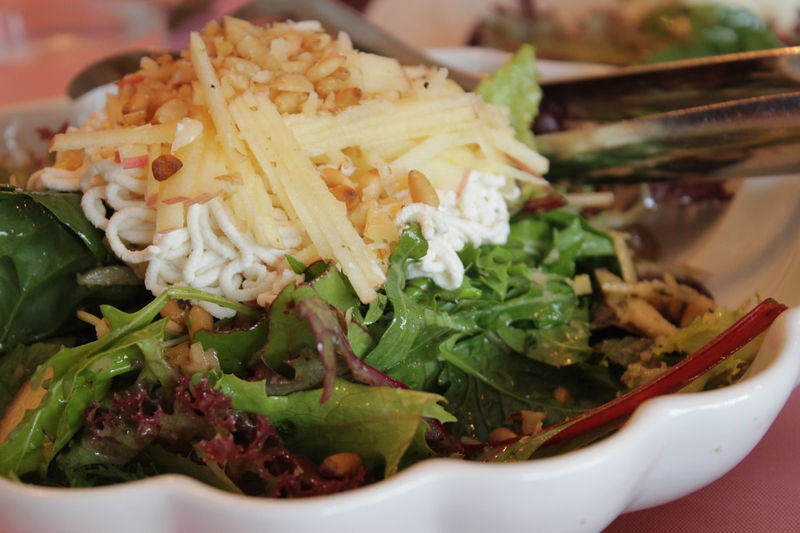 Our bormio salad ($24.90) came piled with a huge layer of ricotta cheese, diced apples and toasted pine nuts. Not to mention the occasional black olive and garlic clove that has been macerated in aged balsamic vinegar. 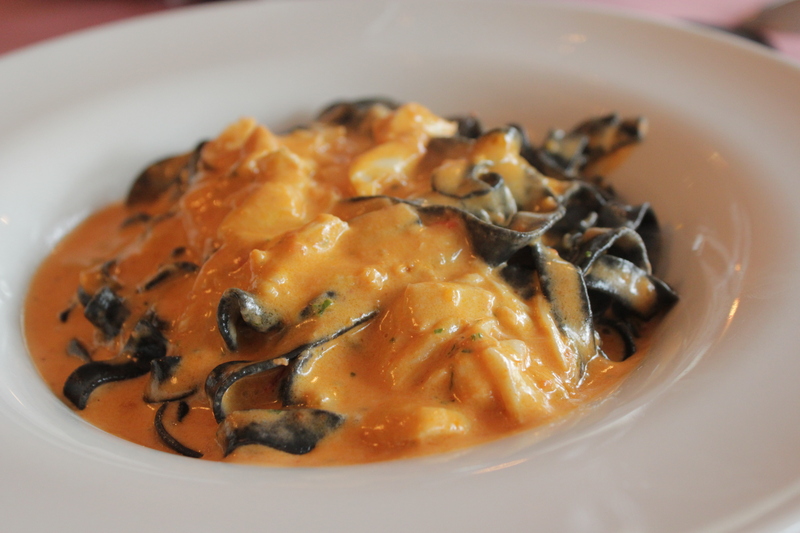 After consulting hungrygowhere, I was determined to order the crabmeat squid ink tagliatelle (23.90). The squid ink was infused in the al dente and smooth tagliatelle. The cream sauce was however, too heavy for me but I am never a cream person. Should have just sticked to my preferences! The crab meat ( it tasted like alaskan crab) was sweet and juicy, and the amount given was very generous. If you like cream sauces, i’m sure you will enjoy this pasta very much. Dad’s stinco ($45.90) was a little overwhelming when it first came. 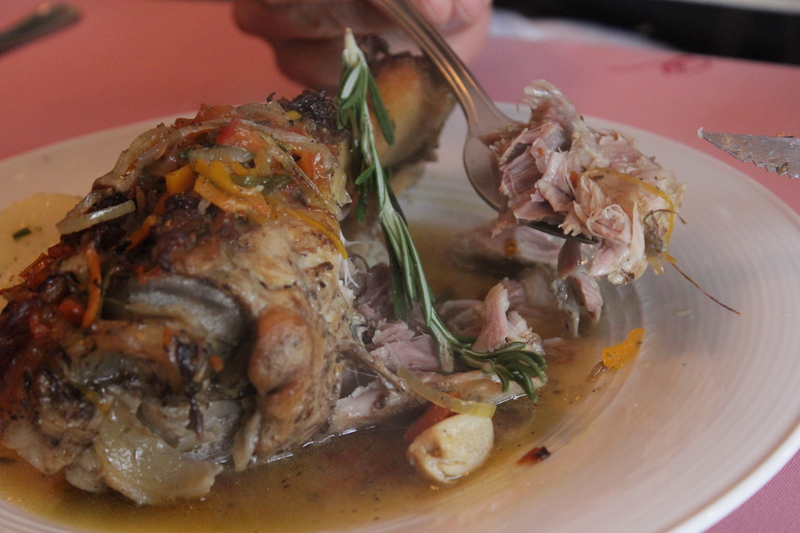 The veal was pleasantly fork-tender. Each chunk of meat under the fatty collagen rich layer was lean and sweet. Dad also enjoyed eating the crunchy joint area, and had no problems finishing the whole thing ( of course he gave us a few morsels :D). 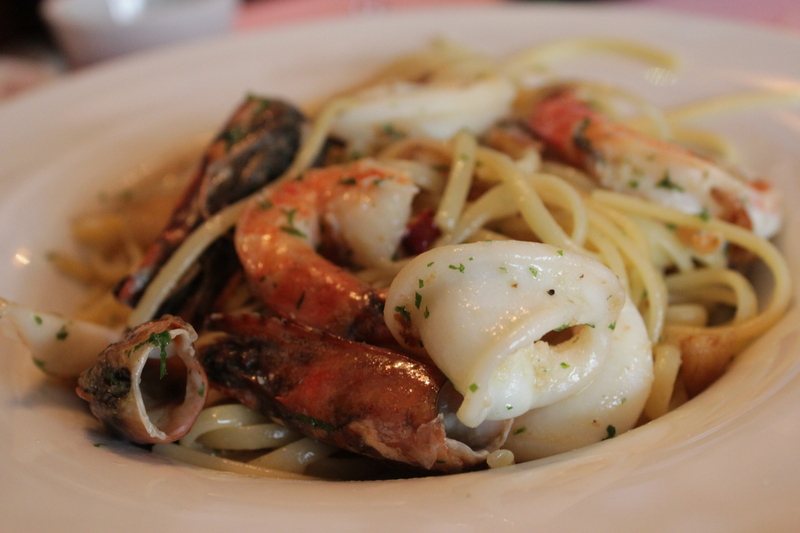 Mum’s Aglio Oilio Spaghetti with seafood ($22.80) came across as a little lacklustre to her as it was too dry. However, the generous amount of fresh seafood compensated part of the disappointment. 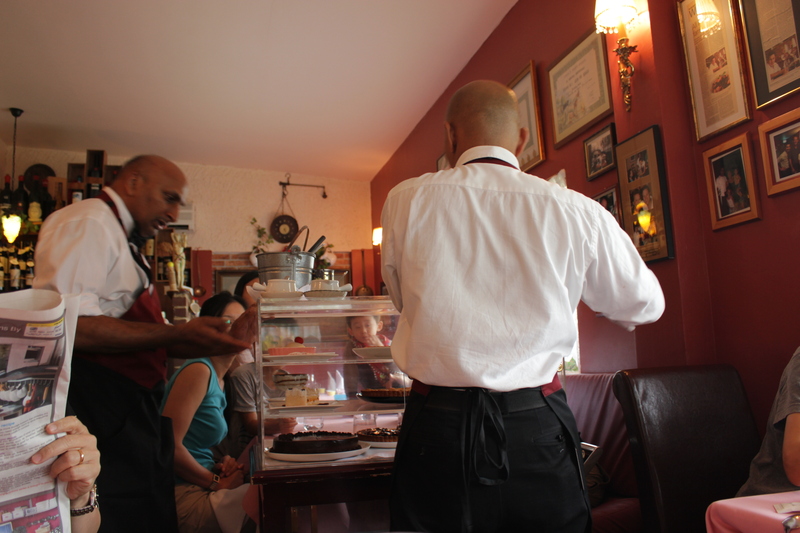 Come to valentino and you will be blessed with friendly service and food cooked with lots of passion and integrity. Definitely a great place for family gatherings as the simple ingredients used and large portions will appeal to all tastebuds, young and old.